In 1948 Shanon laid the foundations of information theory which revolutionized statistics, physics, engineering, and computer science. A strong limitation, however, is that the semantic content of data is not taken into account. This research will produce a novel framework for characterizing semantic information content in multimodal data. It will combine non-convex optimization with advanced statistical methods, leading to new representation learning algorithms, measures of uncertainty, and sampling methods. Given data from a scene, the algorithms will be able find the most informative representations of the data for a specific task. These methods will be applied to complex datasets from real situations, including text, images, videos, sensor signals, and cameras, resulting in intelligent decision based algorithms. Existing theory and algorithms for discovering structure in high-dimensional data rely on the assumption that the data can be well approximated by low-dimensional structures. This project will develop provably correct and scalable optimization algorithms for learning a union of high-dimensional subspaces from big and corrupted data. 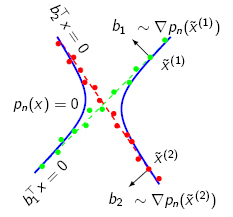 The proposed algorithms will be based on a novel framework called Dual Principal Component Pursuit that, instead of learning a basis for each subspace, seeks to learn a basis for their orthogonal complements by solving a family of non-convex sparse representation problems. We develop scalable algorithms for solving these non-convex optimization problems and study conditions for their convergence to the global optimum. Applications of these methods include segmentation of point clouds and clustering of image categorization datasets. Existing methods for processing images generally succeed only when the data are balanced and homogeneous. This project develops a new recognition framework based on novel sparse and low-rank modeling techniques to overcome these limitations. Imbalanced data are automatically divided into common and rare patterns, so that a small set of balanced representatives can be selected. To capture information across multiple domains and modalities, we use non-convex methods to learn shared latent representations. Classification and clustering algorithms can then be applied to the latent representation. Applications of these methods include image and video-based object recognition, activity recognition, video summarization, and surveillance. This project seeks to develop a mathematical framework for the analysis of a broad class of non-convex optimization problems, including matrix factorization, tensor factorization, and deep learning. In particular, this project focuses on the problem of minimizing the sum of a loss function and a regularization function, both of which can be non-convex. Specific goals include characterizing conditions on the loss function, the product map, the network architecture and the regularization strategy that give guarantees of global optimality, provide theoretical insights for the success of existing optimization algorithms and architectures, and offer guidance in the design of novel network architectures. 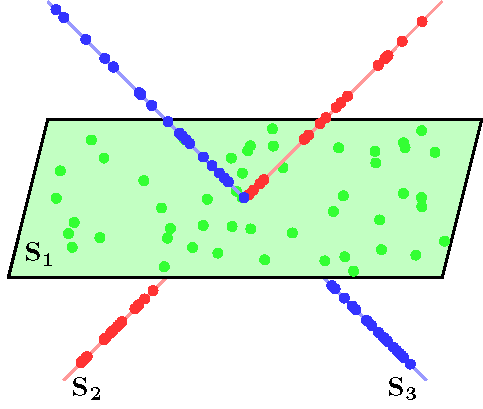 Sparse subspace clustering (SSC) is a method for clustering high-dimensional data living in a union of low-dimensional subspaces. SSC uses the sparse representation of each data point in a dictionary consisting of all other data points to build a similarity graph. Segmentation of data into multiple subspaces follows by applying spectral clustering to the similarity graph. 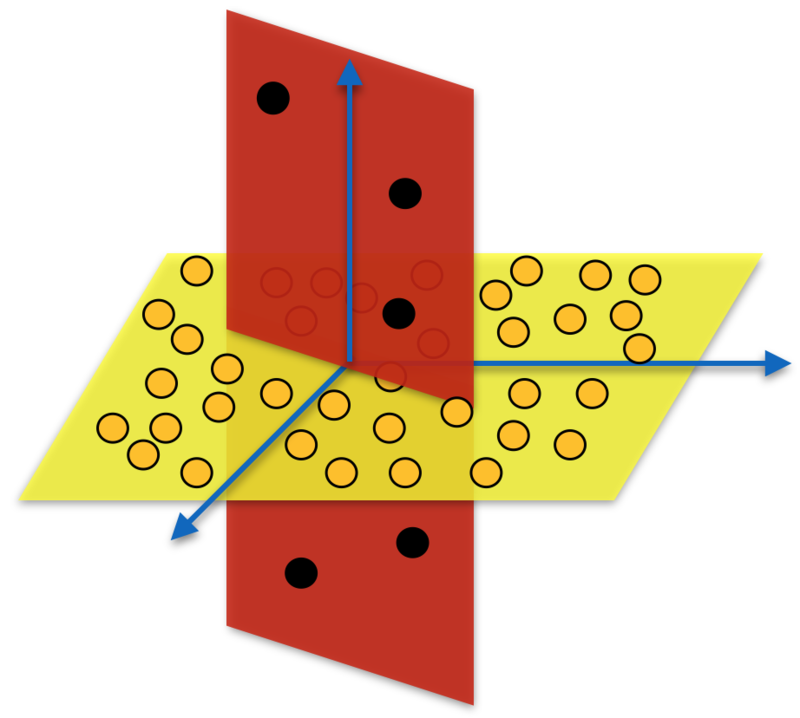 We investigate theoretical guarantees as well as applications of SSC to problems in computer vision. Generalized Principal Component Analysis (GPCA) is an algebraic-geometric approach to segmenting data lying in multiple linear subspaces. GPCA is a non-iterative method that operates by fitting the data with a polynomial and then differentiating that polynomial in order to segment the data. This segmentation can be used to initialize iterative methods, such as Expected Maximization. Manifold learning deals with the characterization of high dimensional data for the goals of dimensionality reduction, classification and segmentation. Most of nonlinear dimensionality reduction methods deal with one manifold. We propose methods to simultaneously perform nonlinear dimensionality reduction and clustering of multiple linear and nonlinear manifolds. Object detection, pose estimation and semantic segmentation are core research problems in the area of computer vision. Even though these problems are solved almost trivially by humans, they have been surprisingly resistant to decades of research. 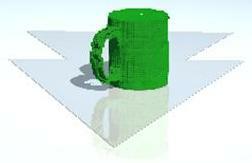 We hope to tackle these fundamental problems using a new class of 3D object models called 3D wireframe models. The objective of this research project is to design algorithms to learn deformable wireframe models from 2D images and use these models for holistic scene understanding (semantic segmentation with 3D pose and layout estimation). GEAR (Grounded Early Adaptive Rehabilitation) is a collaborative research effort between the University of Delaware and Johns Hopkins University that brings together robotics engineers, cognitive scientists, and physical therapists, for the purpose of designing new rehabilitation environments and methods for young children with mobility disorders. 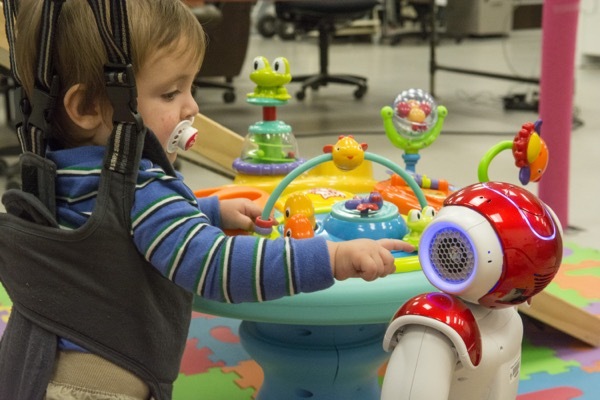 The envisioned pediatric rehabilitation environment consists of a portable harness system intended to partially compensate for body weight and facilitate the children’s mobility within a 10 x 10 feet area, a small humanoid robot that socially interacts with subjects, trying to engage with them in games designed to make them maintain particular levels of physical activity, and a network of cameras capturing and identifying the motion in the environment and informing the robot so that the latter adjusts its behavior depending on that of the child. Our objective is to develop activity recognition methods that facilitate children-robot interaction. Object categorization is the task of automatically labeling objects in an image as belonging to a certain category. 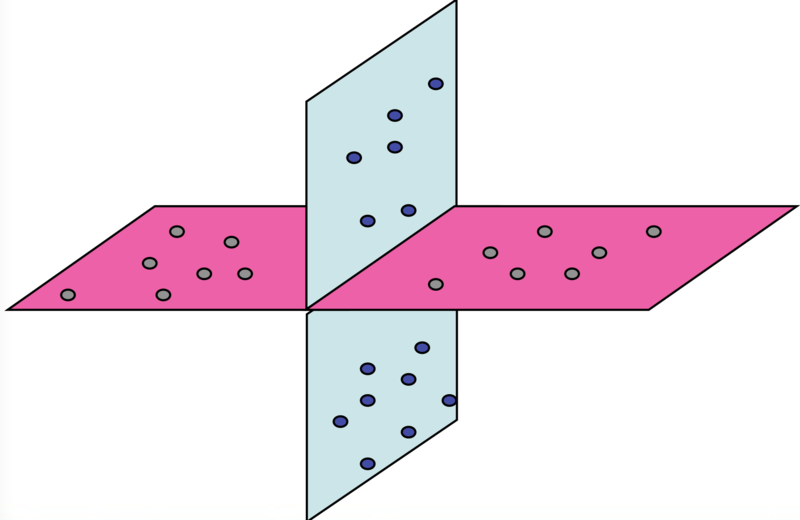 Segmentation involves identifying a group of pixels as belonging to a particular object in the image. 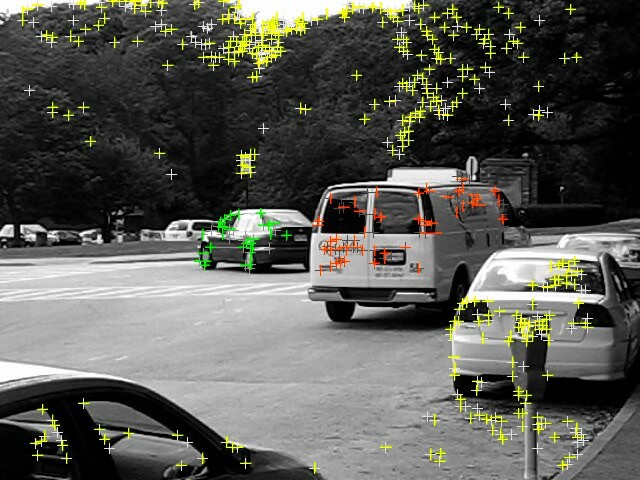 Both of these tasks are challenging problems at the core of computer vision, relevant to applications in surveillance, image search, autonomous navigation, and medical diagnostics. While existing literature treats these as separate problems, our work deals with simultaneously segmenting and categorizing objects in an image to gain more accurate results. The objective of this research is to develop bio-inspired algorithms for recognizing human movements and movement styles in videos of human activities. The approach is based on a new representation of static three-dimensional (3D) shape structure in the ventral visual pathway consisting of configurations of 3D structural fragments. 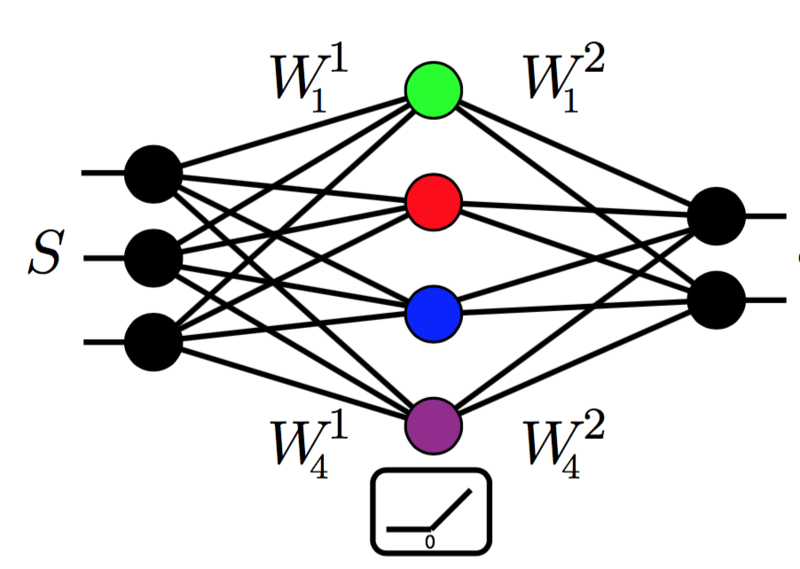 This project uses neural experiments to validate an analogous four-dimensional (4D) representation of moving 3D shapes based on 4D (space and time) structure-in-motion (SiM) fragments. 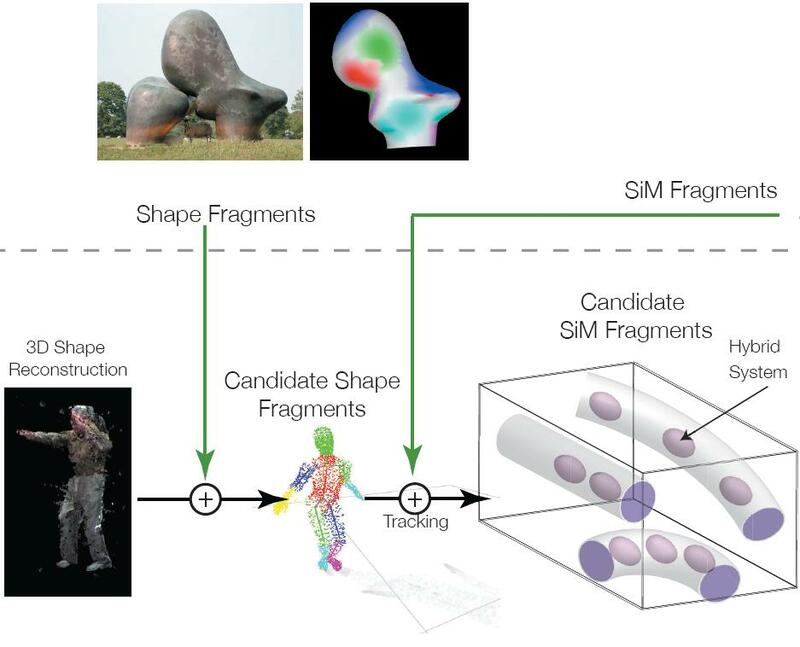 These SiM fragment models are used to develop algorithms for automatically extracting SiM fragments from videos of human activities. Hybrid system identification and clustering techniques are used to learn a dictionary of human movements used for recognition. This dictionary, in turn, influences the design of the neural experiments. The algorithms are evaluated using a real-time tele-immersion system. 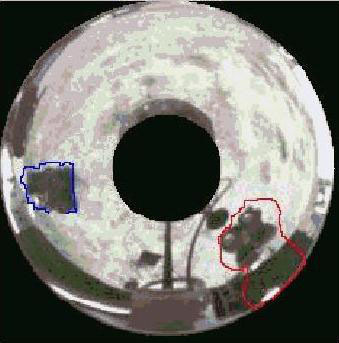 Analysis of human activities has always remained a topic of great interest in computer vision. It is seen as a stepping stone for applications such as automatic environment surveillance, assisted living and human computer interaction. There has been a tremendous amount of work in this field. Our approaches specifically model the dynamics of human activities in monocular scenes for recognition. The tools developed include representing human activities as dynamical systems, developing algorithms for efficiently learning the parameters of these representations, defining metrics on the space of these parameters and extending classification algorithms for solving the recognition problem. The general class of algorithms developed are also applicable to various other dynamic visual phenomena such as lip articulation as well as dynamic textures. Textures such as grass fluttering in the wind, waves on the ocean exhibit specific dynamics and thus can be modeled as a linear dynamical system. The classical Brightness Constancy Constraint does not hold good for such sequences as they are not rigid and lambertian. 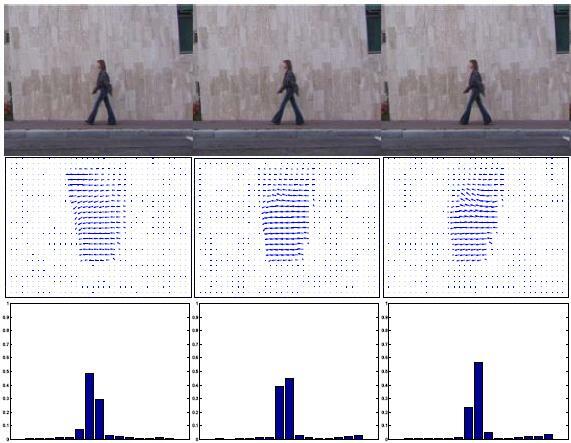 We explore methods to exploit the dynamical model and achieve segmentation and estimation of motion of a camera viewing such sequences. In this project we show how to estimate the class, 3D pose and 3D reconstruction of an object from a single 2D image. In contrast with other approaches that address these task independently, we show that there is an advantage in addressing these tasks simultaneously. In addition, we show that considering the objects in 3D is also beneficial. Motion segmentation forms a quintessential part of analyzing dynamic scenes that contain multiple rigid objects in motion. It deals with separating visual features extracted from the scene into different groups, such that each group has a characteristic motion different from that of the other groups. Since we can extract a vast bag of visual features from a scene, we explore different approaches for segmenting the motions in the scene by using these features. Omnidirectional motion estimating and segmentation involves the analysis of a scene observed from multiple central panoramic views in order to identify the different motion patterns present in the scene. The previous research mainly focuses on sequences captured by perspective or affine cameras. The panoramic camera model is mathematically more complex due to the uneven warping in the scene. 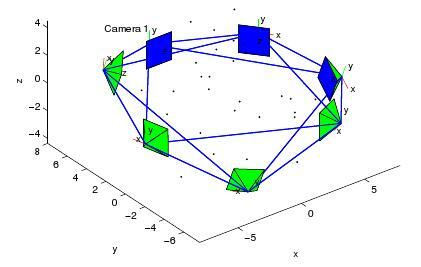 We propose methods to estimate and segment the motion models associated with multiple moving objects captured by panoramic cameras. Multiple view geometry deals with the characterization of the geometric relationships of multiple images of points and lines. Such characterization can be used for structure and motion recovery, feature matching and image transfer. The previous work in multiple view geometry is mainly restricted to a maximum of four views. We propose a unifying geometric representation of the constraints generated by multiple views of a scene by imposing a rank constraint on the so-called multiple view matrix for arbitrarily combined point and line features across multiple views. We demonstrate that all previously known multilinear constraints become simple instantiations of the new condition and that quadrilinear constraints are algebraically redundant. Recent hardware innovations have produced low-powered, embedded devices (also known as motes) which can be equipped with small cameras and that can communicate with neighboring units using wireless interfaces. These motes can organize themselves in a "Smart Camera Network" and represent an attractive platform for applications at the intersection of sensor networks and computer vision. In our research we aim to find distributed solutions for Computer Vision applications. We have focused on two particular issues: distributed pose averaging and camera network localization and calibration. 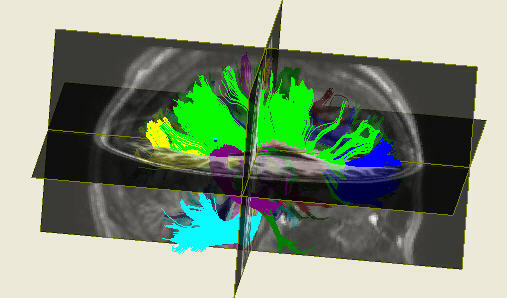 Diffusion magnetic resonance imaging (dMRI) is a medical imaging modality used to reconstruct the anatomical network of neuronal fibers in the brain, in vivo. One important goal is to use this fiber network to study anatomical biomarkers related to neurological diseases such as Alzheimer's Disease. 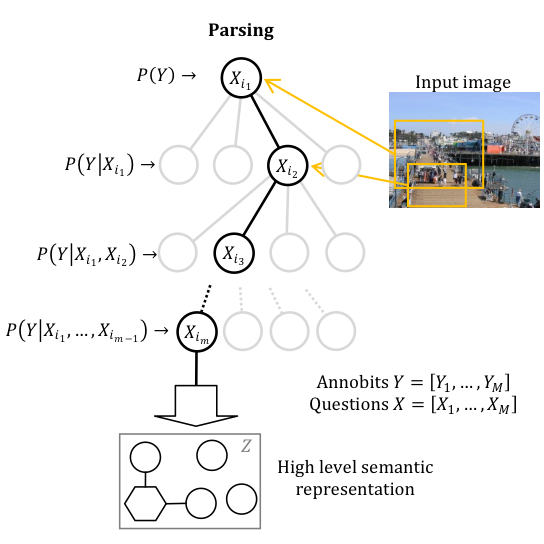 In the Vision Lab we apply elements of Machine Learning and Computer Vision to develop computational and mathematical algorithms for dMRI reconstruction, diffusion estimation, fiber segmentation, registration, feature extraction, and disease classification. Several methods are known nowadays for treating cardiac arrhythmias -irregularities in the heartbeat-, the least invasive of which is radiofrequency ablation. The objective of this project is to solve the segmentation problem in order to develop a 3-D model of the heart using real time MR images, and to help the physician during the ablation process. We use segmentation methods based on intensity and dynamic textures framework for segmenting the heart from the chest and the background. 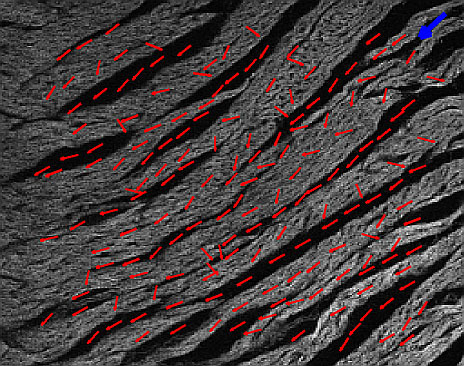 We then perform rigid and non-rigid registration to register upcoming low resolution images to the previous high resolution followed by level set methods, which integrates prior information on shape, intensity and cardiac dynamics for segmenting different regions within the heart. Orientation extraction and tracing of tubular structures in medical images are important quantitative tools for developing models of the heart both at the histological and cytological levels. The problems of detecting orientation and tracing tubular structures are closely related to a primal problem in processing: edge detection. This has motivated several efforts in the image processing and computer vision communities to introduce fast and robust algorithms. However, those algorithms have to deal with not only the image noise but also the complexity (intersection, bifurcation) of the structure. In this project, we consider the problem of extracting spatial orientation and tracing 2-D and 3-D tubular structures in medical images. Specifically, we aim at developing algorithms to analyze myofiber array orientation and track the 3-D Purkinje network in cardiac data. Spaces of linear dynamical systems and geometries on such spaces have been of interest from the early days of control theory. In this project we take a modern look at this topic for novel applications in pattern recognition in high-dimensional time-series data (e.g., video sequence data). Our goal is to develop theory and tools for performing statistical analysis on such spaces. We also revisit some traditional control problems using the tools we develop. A system is considered to be hybrid if its dynamics can be described as both continuous and discrete. We characterize the observability properties of certain classes of hybrid systems called Jump Linear Systems. We consider both autonomous and non-autonomous linear hybrid systems in our research and derive conditions on the structural parameters of the constituent linear systems in order to uniquely recover continuous/discrete states of the system. Given the input-output data generated by a hybrid system, we propose algorithms to identify the number of discrete states, the hybrid state (continuous and discrete) and the model parameters associated with each state. Our research considers batch identification and recursive identification of linear Switched ARX systems (SARX). In contrast to most of the existing methods, we consider the challenging problem where neither the number of models nor the orders are known.